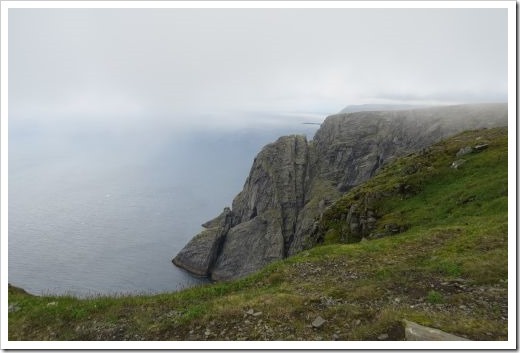 Any visitor to Norway knows how expensive it is to travel and sightsee in the country. 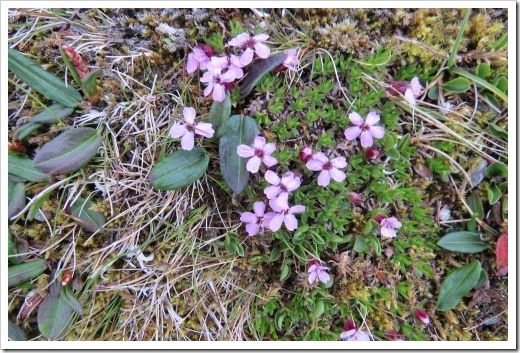 When our cruise ship stopped at Tromso, we discovered the Arctic-Alpine Botanic garden, which was a short walk from the port. Even better, admission was free. 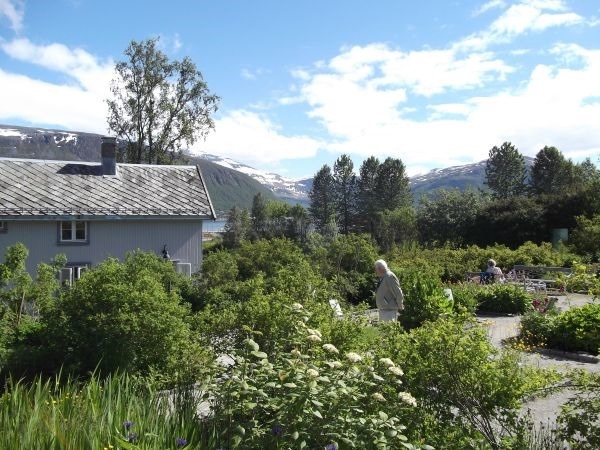 It was in a gorgeous spot, overlooking the valley of Tromsdalen and the mountain Tromsdalstind in the background. 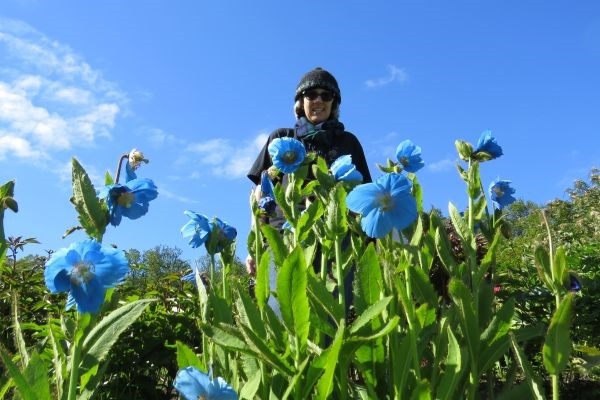 All the plants come from alpine regions of the northern hemisphere, and the garden is open from May to September. 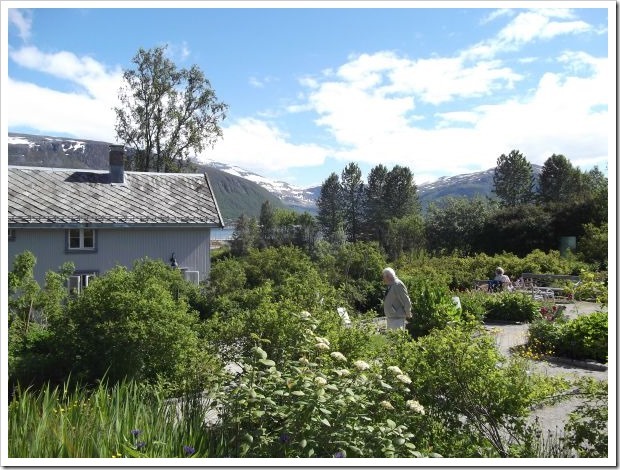 It is run by the Tromso University Museum. 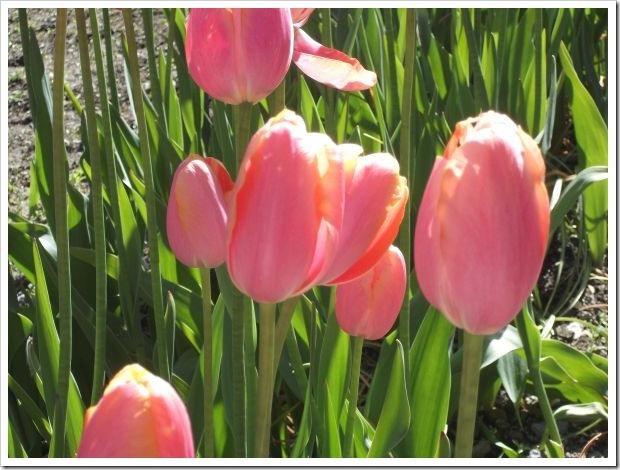 I love tulips, and these ones made a stunning display. 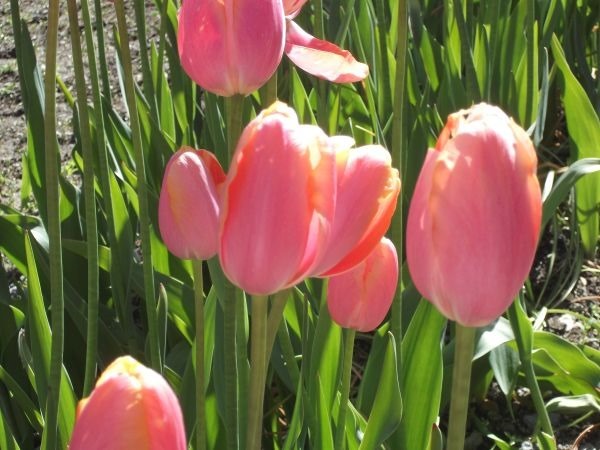 There were also black tulips. 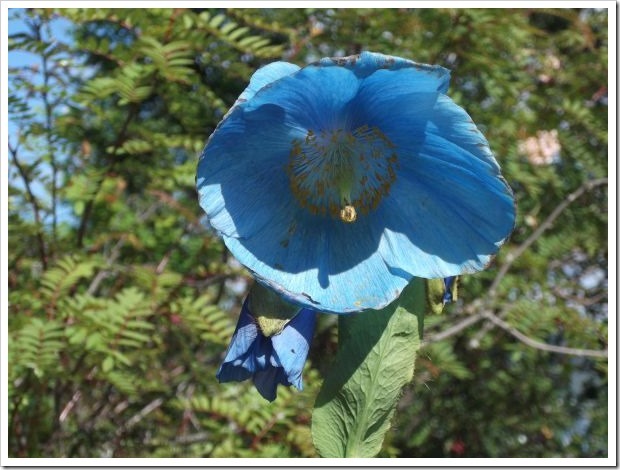 These blue Himalayan poppies were in full flower and absolutely beautiful. 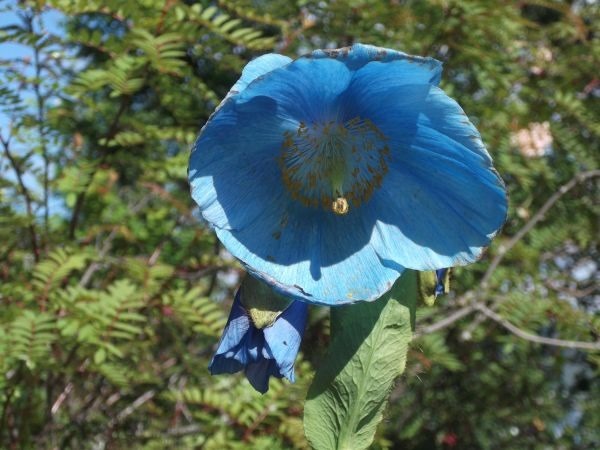 Such a pretty color. 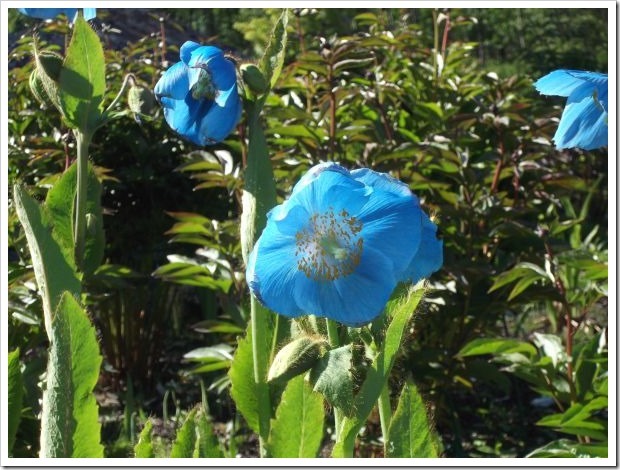 I’d never seen blue poppies before. The day turned fine and hot. 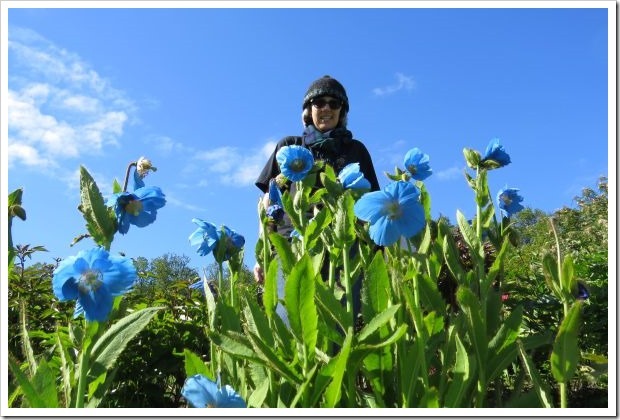 This is me posing with the blue poppies. 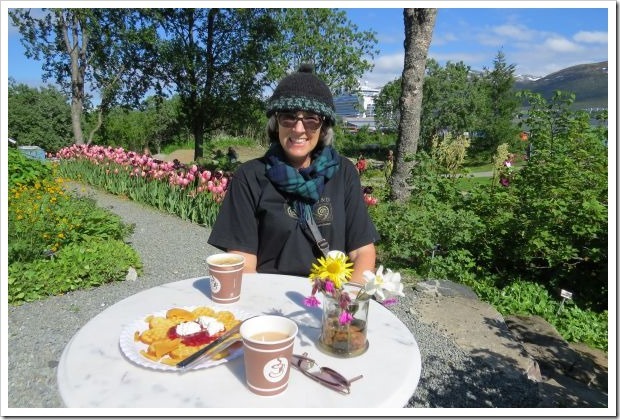 There is a small cafe in the gardens, and hubby and I purchased a waffle and coffee. 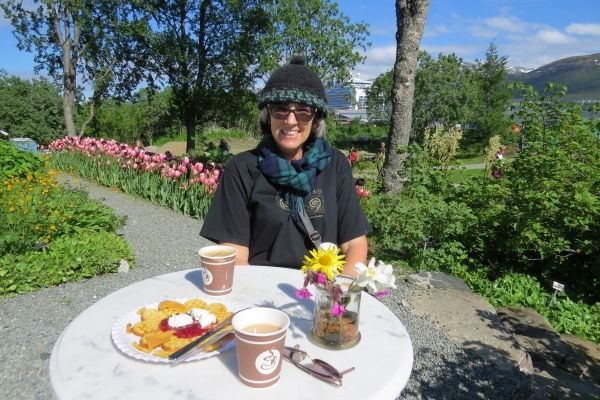 In Norway, the waffles are served with jam and cream or Brunost, which is a brown cheese made from goats’ milk. I expected the cheese to be strong but it was quite sweet and soft and went perfectly with the waffle. 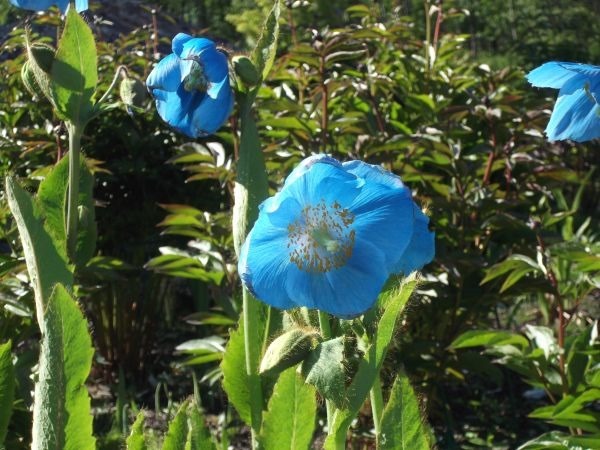 If you’re in Tromso, a visit to the Arctic-Alpine Botanic garden is the perfect way to while away an hour or longer. I highly recommend a visit. Grab a paranormal bargain for 99c or less! Today and tomorrow only. Find other bargains at Paranormal Romance Lovers and keep up with new promotions and sales by joining the newsletter while you’re there. “We caught you trespassing,” she snapped. “What were you doing there? 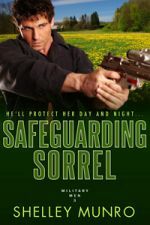 What did you take?” Her gaze slid down his body toward his crotch. Jonno laughed, not even trying to control his unruly body. The steal of color across her cheeks charmed him. A blusher. He wondered how big an area the flush covered. “I’m not hiding any jewels there, aside from the obvious, although you’re welcome to investigate.” A sly grin slid across his lips. He hadn’t had so much fun with a woman in ages. 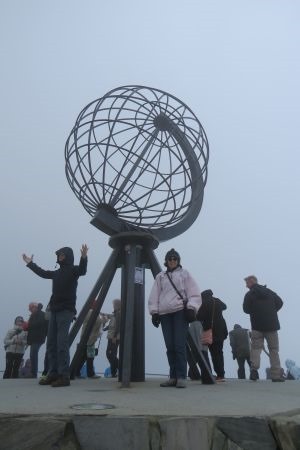 The North Cape on the island of Magerøya in Norway is in the Arctic Circle, and it is the farthest land point before the North Pole (Apart from the Svalbard archipelago). During the summer months, the sun doesn’t set and daylight is constant for two and a half months. 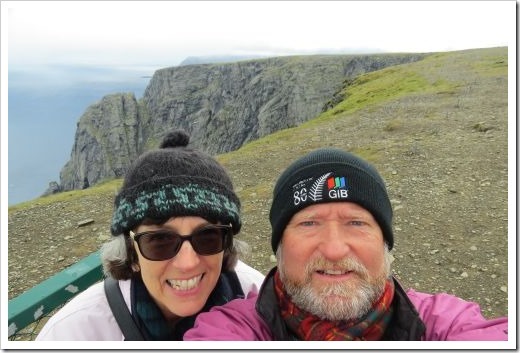 On the day we visited, it was cold, even though it was mid-summer. This is the view we saw on our arrival. 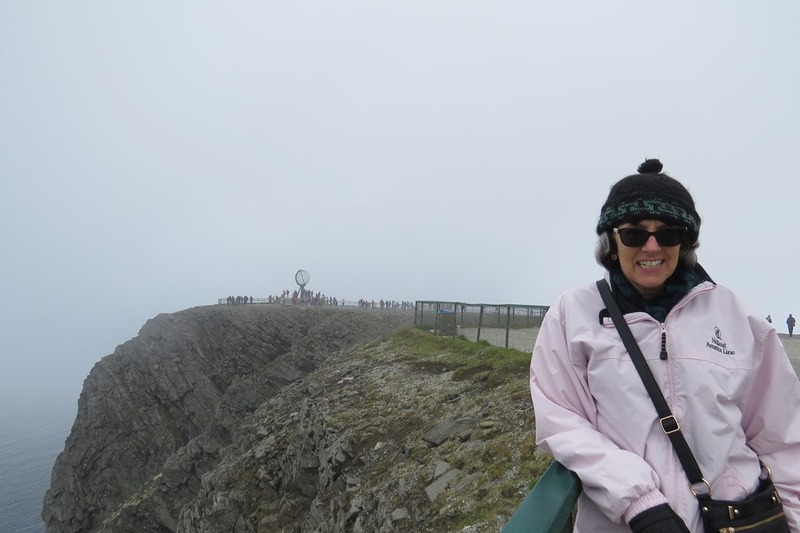 About half an hour later, the sea and cliffs were shrouded by fog. There were hundreds of people and dozens of buses at the cape. 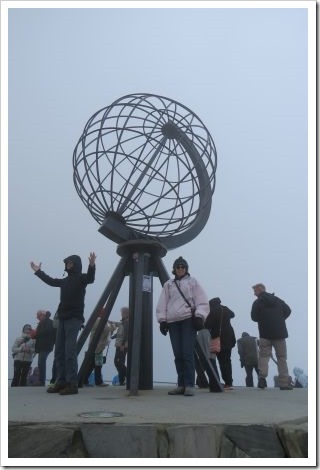 I decided to purchase and post a postcard with the special North Cape postmark. 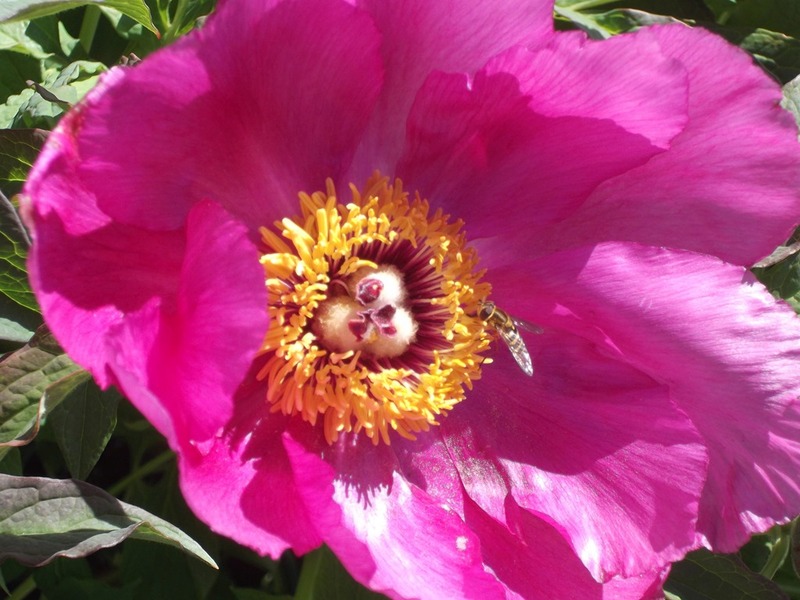 Service at the souvenir shop – slower than a snail. I swear I was in the line for half an hour. We saw a few herds of reindeer gazing on the side of the road. They are not wild, but are released to graze the area during the summer months. 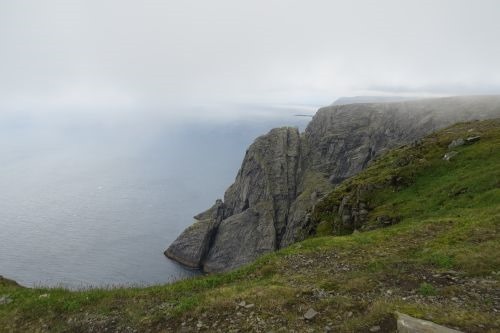 The cape area is popular for bird watching and hiking. This is the globe right on the point in front of the visitors’ center. 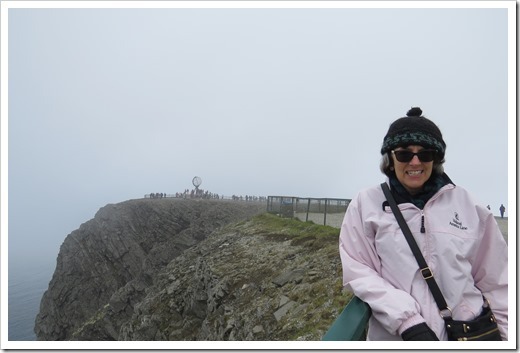 Not much of a view with the fog obscuring the sea beyond. 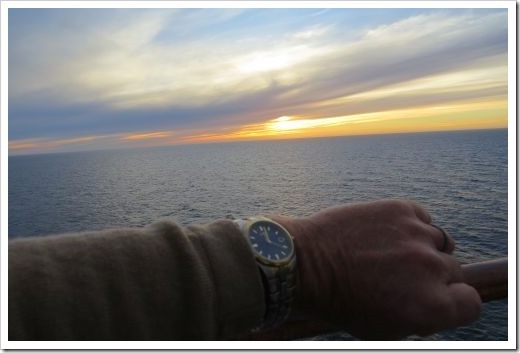 Hubby took this photo at midnight, as you can see by his watch. The sun set at midnight and it rose at midnight. This is me at midnight. 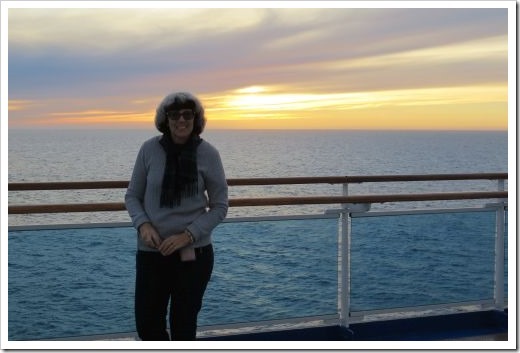 While it was fun seeing the midnight sun, I’m not sure I could handle the lack of daylight during the winter months. 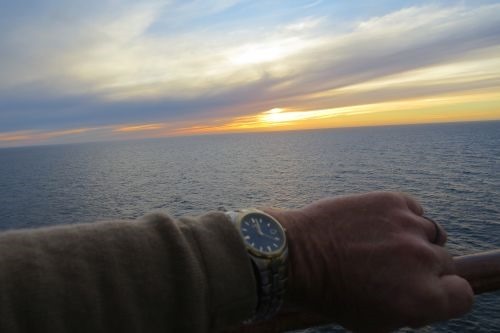 How do you think you would cope with only a few hours of daylight per day? 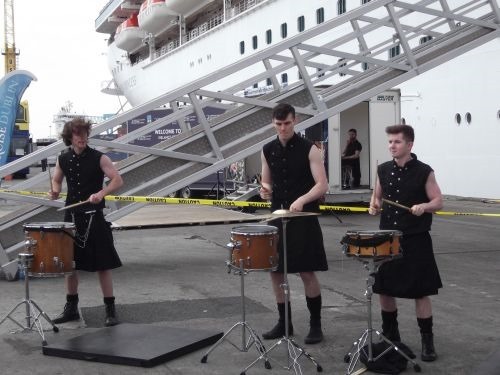 During our recent cruise we stopped for a day in Dublin. 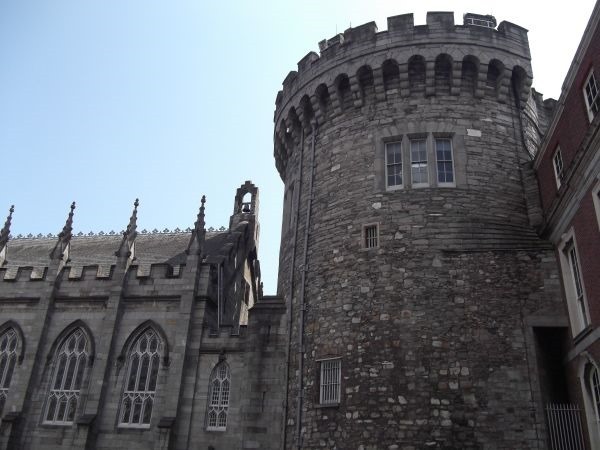 We’ve visited Dublin before, but it was fun reacquainting ourselves with the city. 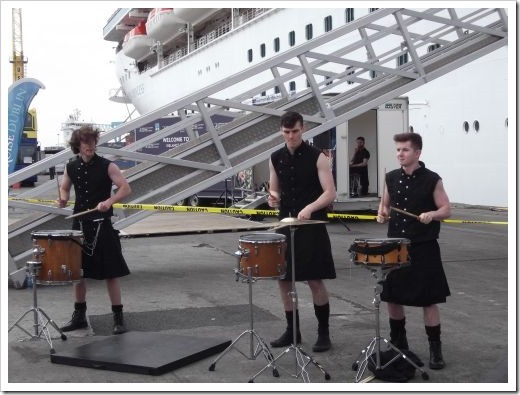 Drummers welcomed us as we disembarked from the cruise ship. Our first stop was to the Georgian House Museum in Fitzwilliam Street. Mrs Beatty, the widow of a wine merchant, was the first occupant of the house. The house is furnished and appears as it would have during 1790 – 1820 period. Unfortunately, we weren’t able to take photos, but it was well worth the visit. 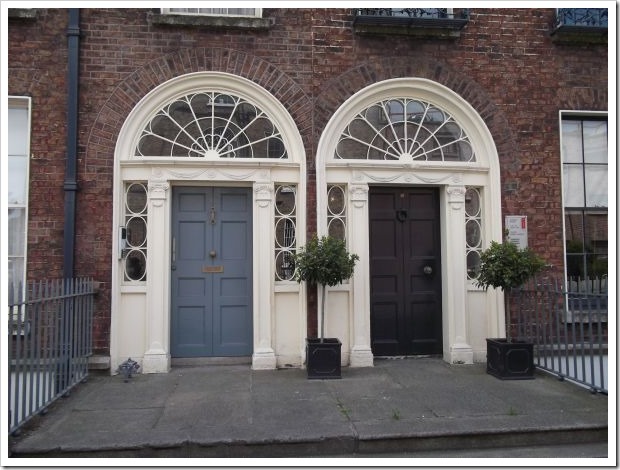 Dublin has lots of Georgian buildings, and I enjoy the elegance of this time period. 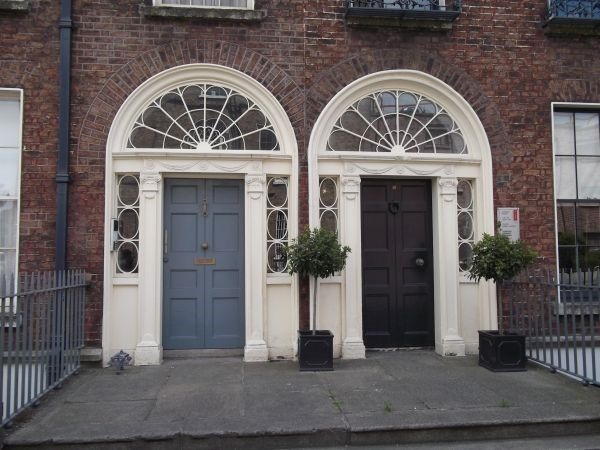 Two doors for Georgian townhouses. 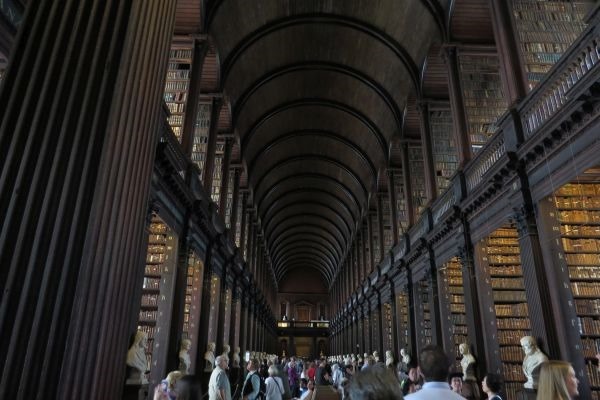 Our next destination was The Book of Kells and the Long Room at Trinity College. The queue was long but I passed the time chatting with the man in front of me in the line. He was there with his wife and two adult children in a family reunion of sorts. My advice to anyone intending to visit in the future is to buy your tickets online before you go. It makes the wait much shorter! The Book of Kells exhibition was crowded, but the illuminated manuscripts are beautiful – so much artistry in the illustrations. It was exacting work and done by more than one scribe. 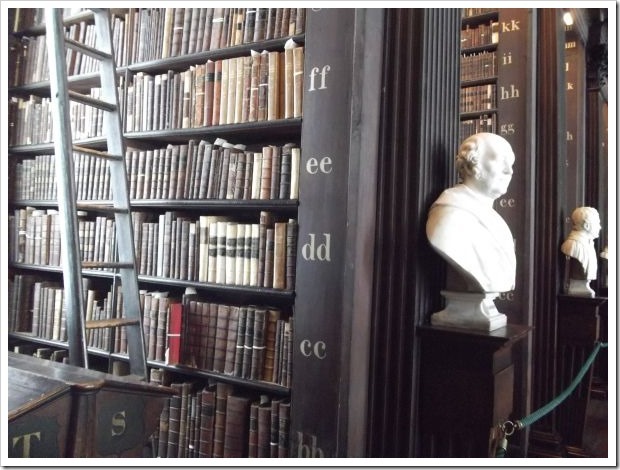 Due to the delicate nature of the manuscripts, no photos were allowed. 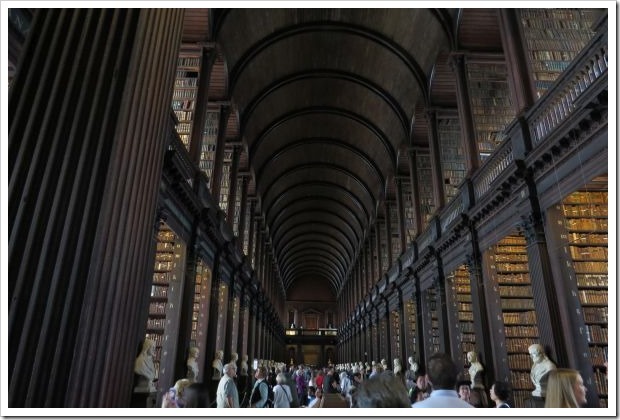 My book lover’s heart was looking forward to the Long Room, part of the Trinity College library. 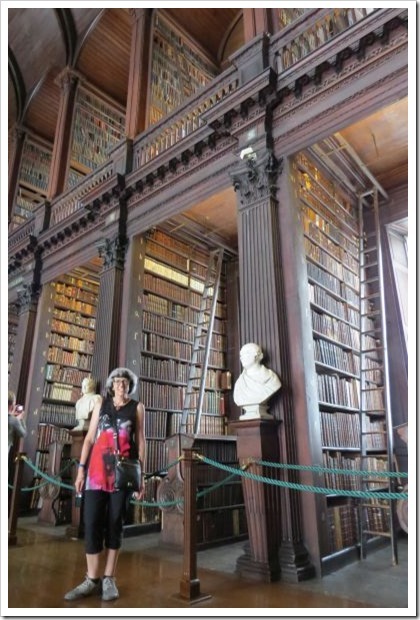 It is floor to ceiling with books and so impressive. It thrilled me. 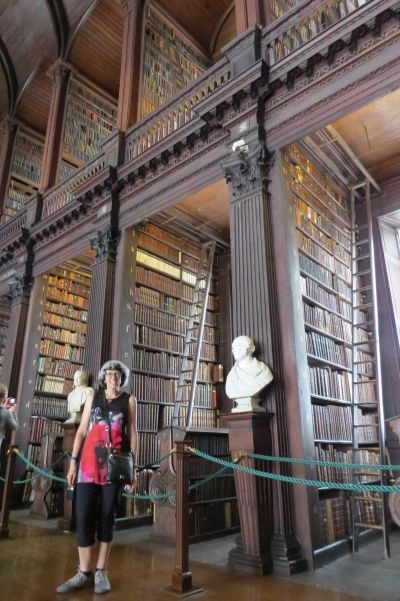 This is me in the Long Room. Check out those ladders to get to the top shelves. 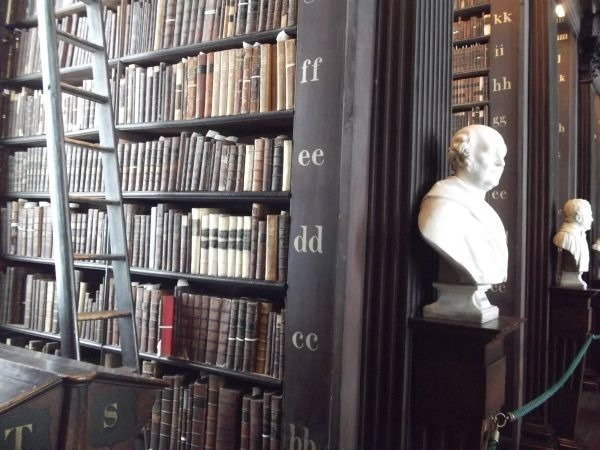 Dublin is full of history. 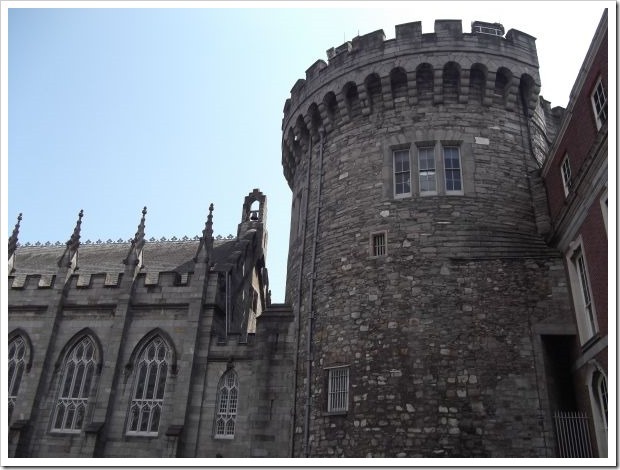 Dublin Castle is mainly 18th century in origin, although a castle has stood on this site for much longer. It is open to the public, apart from during state functions. We merely admired the exterior. 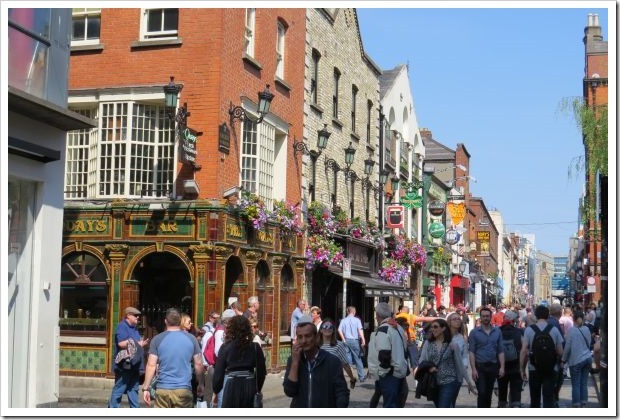 Temple Bar is the cultural and entertainment center of Dublin. It’s full of pubs, expensive drinks and tourists. U2 own a bar here. The weather for our day in Dublin was fantastic. The locals were out in force too, and I’ve never seen so many people with red hair. A lot of pale skin was on display due to the heat. I managed to get a bit burned and I had sunscreen, so I imagine there were lots of sunburnt people that night. If you’re in the market for knitwear, there are some beautiful jumpers, hats and scarves available to purchase. 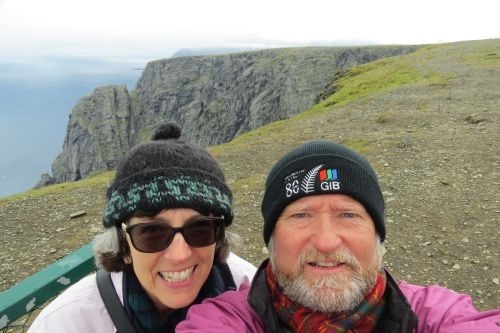 I dragged hubby around several stores in my search for an Irish green scarf. Mission complete. 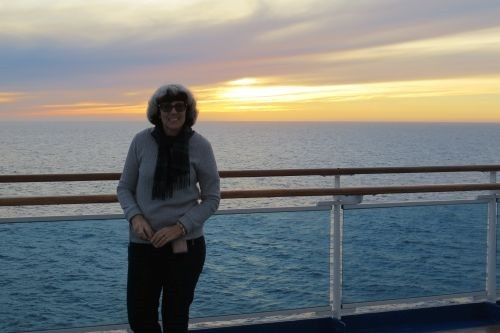 I’ve worn it a lot this winter and get lots of compliments since it is a bit different to those in New Zealand. We had a fantastic day, did heaps of walking and got enough culture to make me happy. 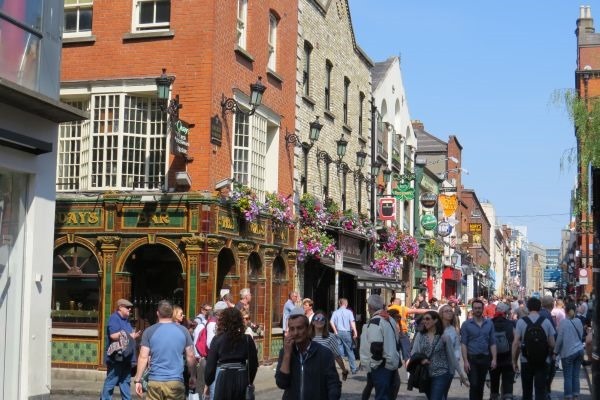 Dublin is a fun city to visit for a day or longer. 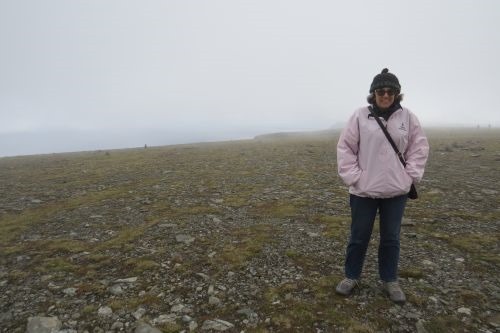 A Smithsonian article turned up in my inbox this week about mammoths that lived on an island in the Bering sea. 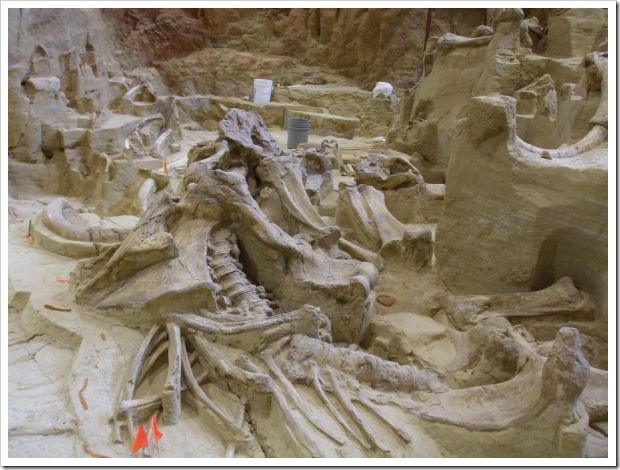 They became extinct on this island around 5600 years ago and experts have concluded this happened because rising sea waters contaminated the water table and therefore their water supply. This reminded me of our visit to Hot Springs in South Dakota a few years ago. 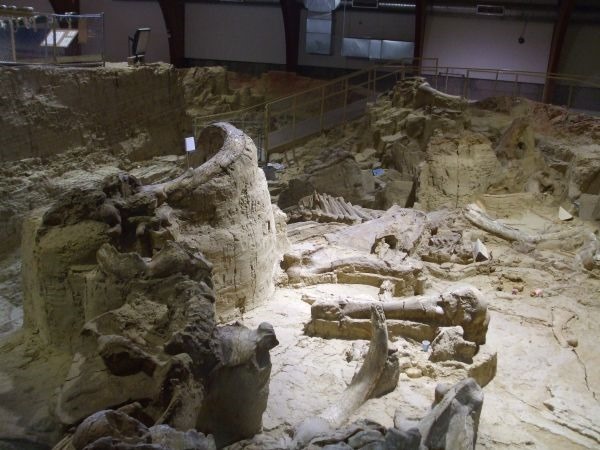 The city of Hot Springs is the southern gateway to the Black Hills. In 1974 a construction crew were working on a building site and hit a tusk. 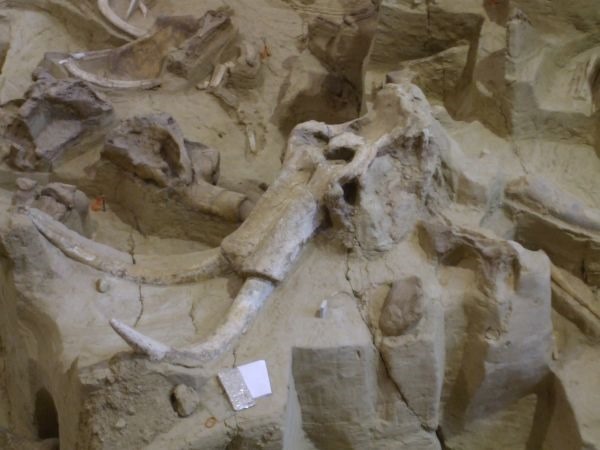 They called experts who found a site full of bones, and what turned out to be a huge Columbian mammoth gravesite. 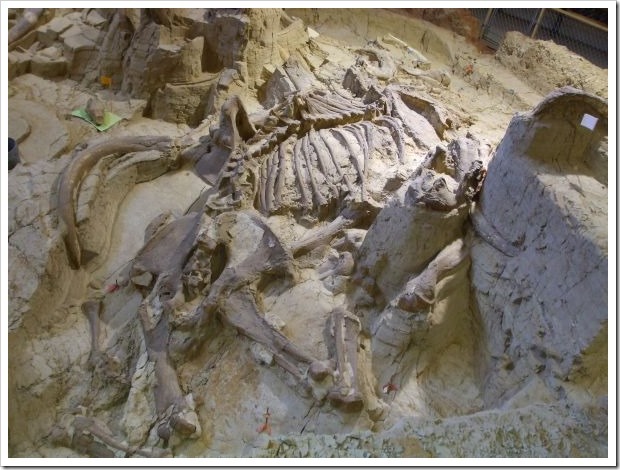 The area was once a sinkhole and over the years, many mammoths and other animals fell in, and unable to climb back out, they perished. 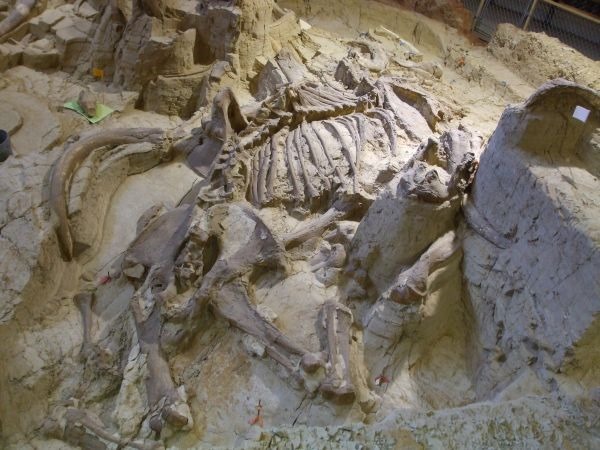 The site has turned into the largest collection of mammoth skeletons found in the United States. 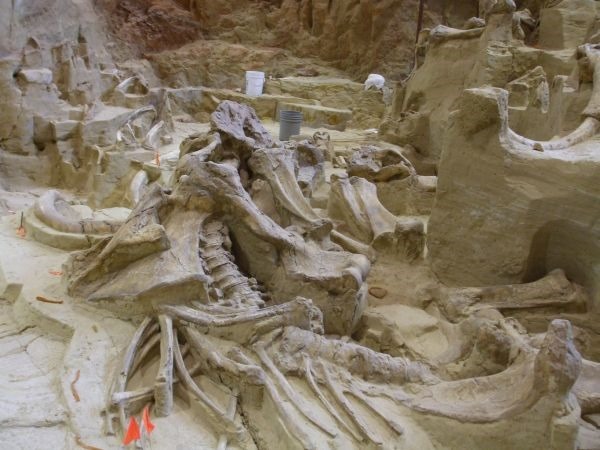 They have found 60 mammoth skeletons and at least three woolly mammoth skeletons. Work on the site is on-going and volunteers are still uncovering new finds. 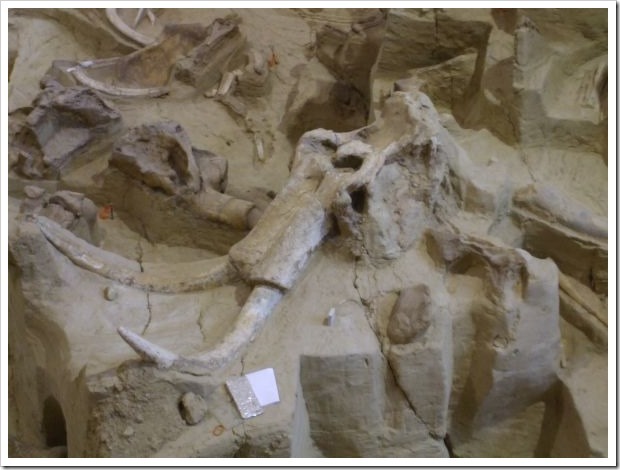 You can see the skeletons and tusks in the above photos of mammoths that ventured too close to the sink hole and died. This particular head and tusks is known as Beauty because it is so beautifully preserved and symmetrical. 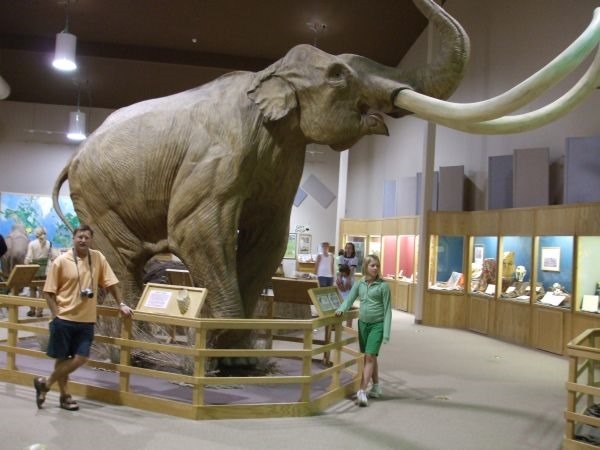 This is a life-size model of a Columbian mammoth, and that’s hubby standing in front of it so you can get an idea of the size. 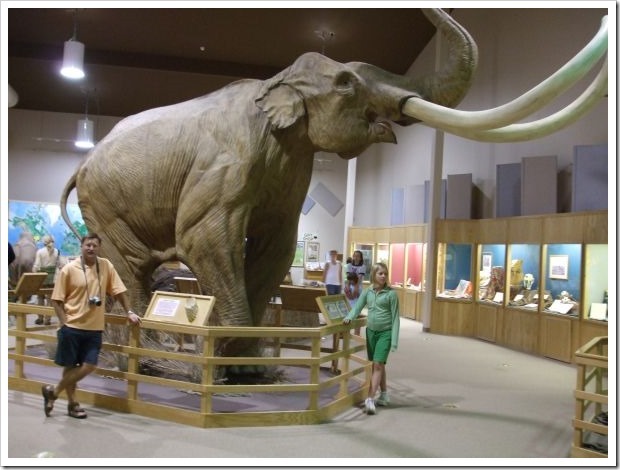 The tusks are huge, and the mammoths must have been a fearsome sight in the flesh. 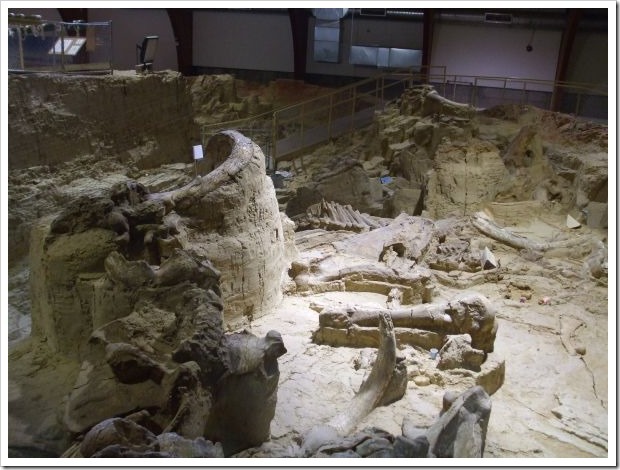 We loved our visit to the mammoth site. 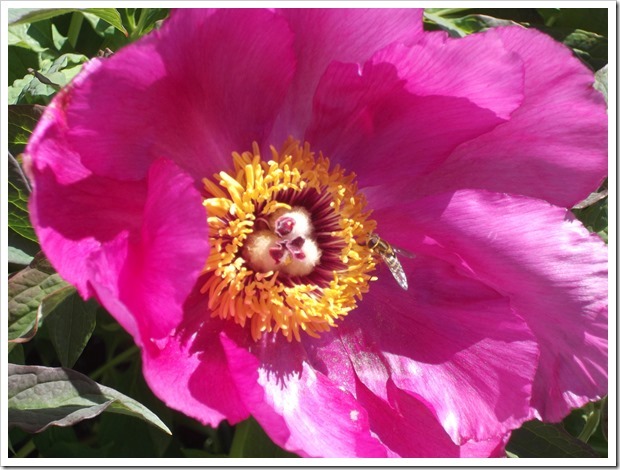 It was fascinating, and we spent some time wandering around and taking photos. If you live anywhere near Hot Springs or are visiting the area, I highly recommend a visit. My Determined Suitor is out today! 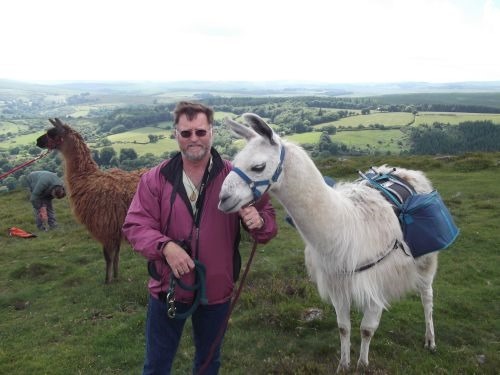 Llamas originate from South America and are closely related to the camel. They are domestic animals, used for packing supplies. 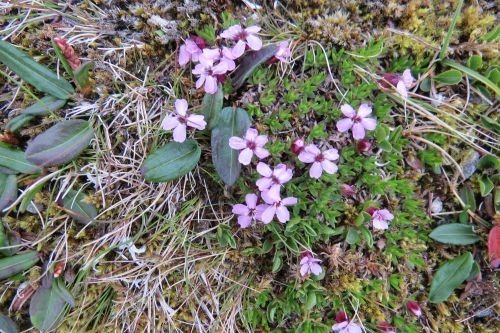 Their feet are padded, which allows them to travel easily over rocky terrain without disturbing vegetation, and they’re capable of navigating very narrow paths. 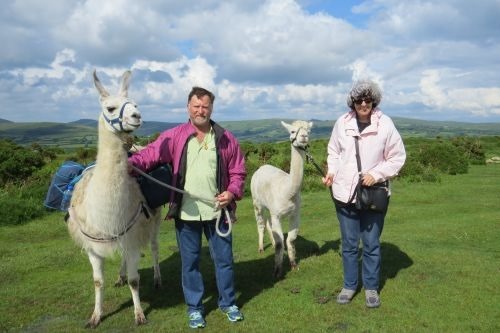 Llamas are gentle animals, and this good temperament combined with their ability to pack supplies has birthed a new type of eco-tourism tour—Llama trekking. 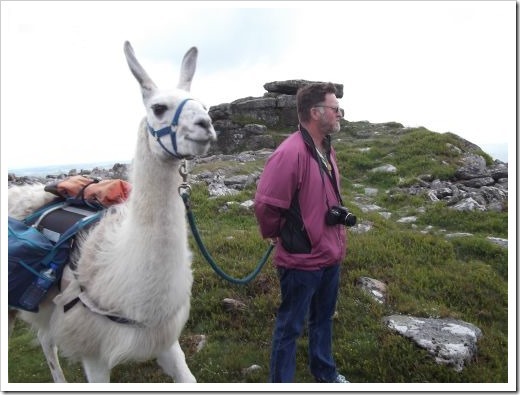 I’ve wanted to go llama trekking ever since I saw a special interest piece on our local television a couple of years ago. 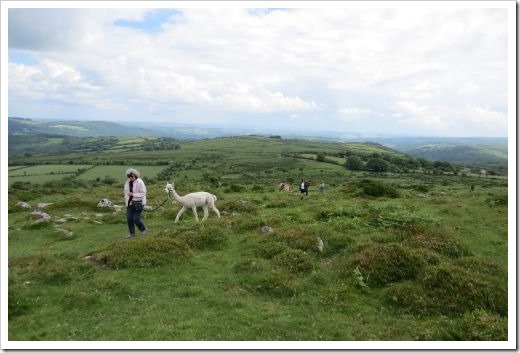 I was thrilled to discover they did llama trekking in Dartmoor National Park in Devon and immediately showed hubby. “We should do this,” I said. After discussing the tour and how to fit it in to our schedule, we duly booked. 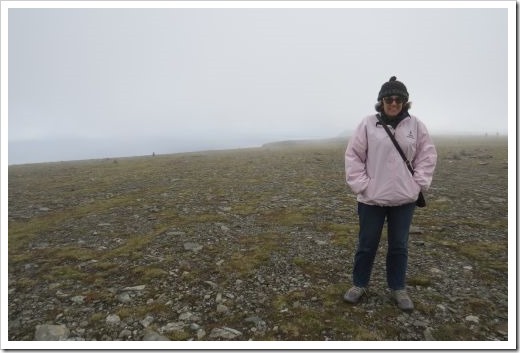 As our tour approached, I watched the weather and crossed my finger it wouldn’t rain. 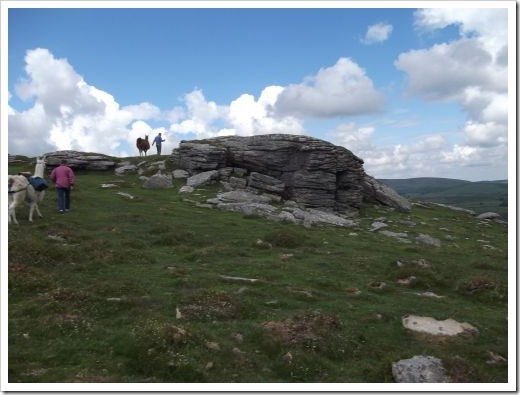 There were four of us trekking plus the two owners. 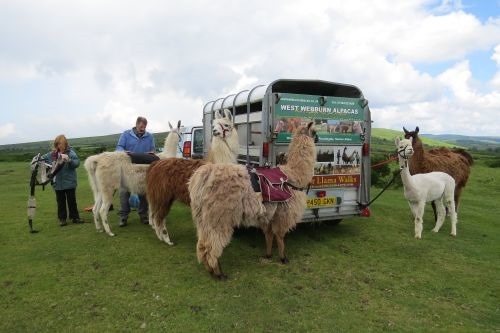 Each of us had a llama each plus there was one alpaca. I volunteered to be in charge of the alpaca. I mean, who can resist their adorable faces. 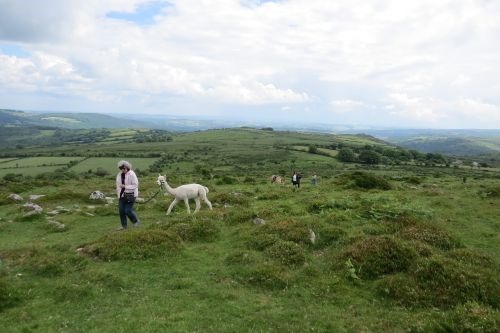 The tour was two and a half hours long with an afternoon tea break—a Devon cream tea—at the halfway point. 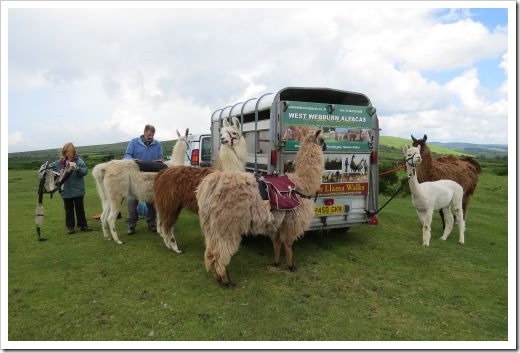 This is the start of our tour where we met our llamas and my alpaca. We were given a quick talk then off we went. 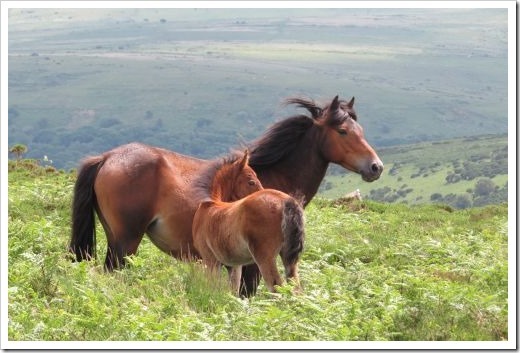 We came across some of the other wildlife – a herd of Dartmoor ponies. 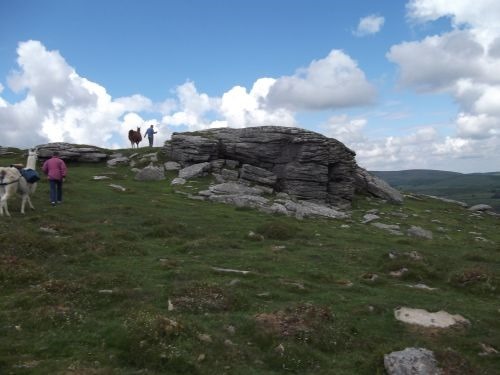 We took in the glorious views then stopped for a delicious afternoon tea of home made scones, jam and clotted cream with a cup of tea. The walk over (3 miles of walking), we posed with our companions and said goodbye. 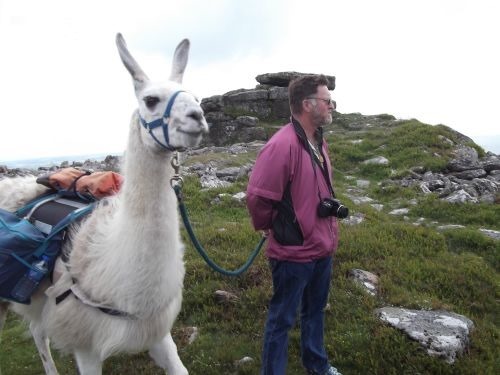 Those rumors about spitting llamas…evidently, they only spit at each other and are well-behaved with humans. 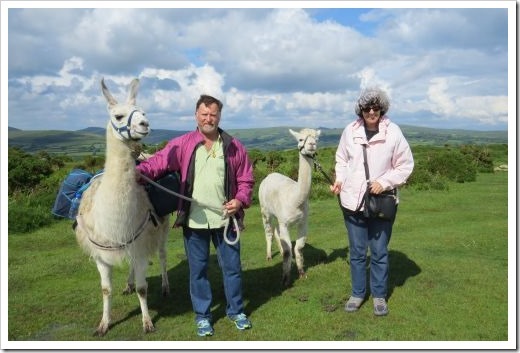 Our llamas were well-behaved and high with the cuteness factor. 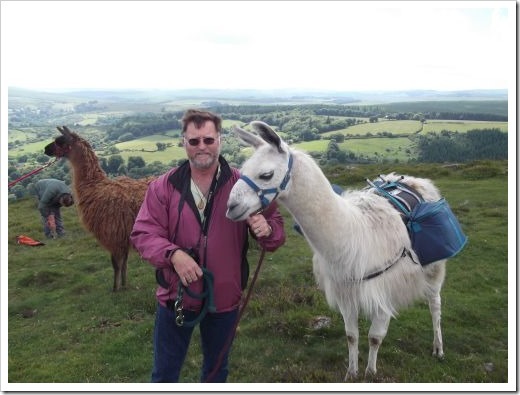 I’m a llama trekking convert, and would happily recommend trekking to any animal lover. I can’t wait to repeat the experience!